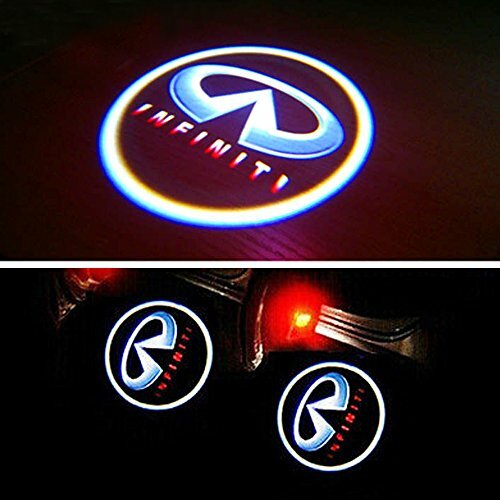 This listing is for pair of amazing Logo door step courtesy laser projector Shadow lights. 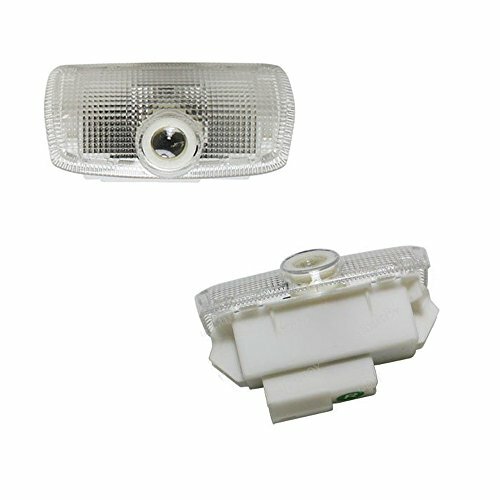 We highly recommend you double check whether this kind of lamps fit your car first before buying this product. If you car haven’t light,please don’t purchase,it can’t install. Note: Installation manual not included. Requires professional installation to ensure proper function. All of our products are designed for easy DIY installation & direct replacement. 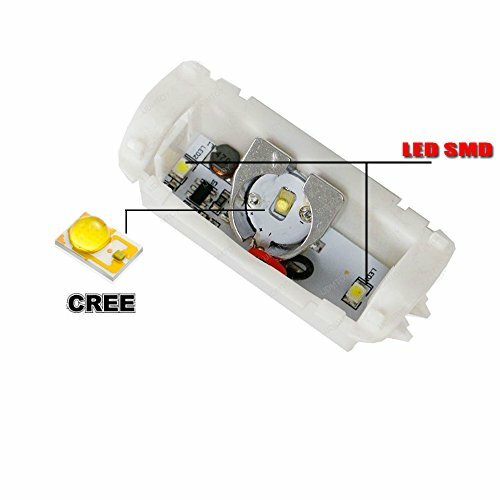 If LED bulb doesn’t light up after installation, please simply re-insert it oppositely (because LED bulb has polarity like a battery).Super Bright.– Laser Projector Under Door Courtesy light for Audi.One Cree LED in it.2 lights perfectly illuminate the ground and show welcome when you open the door. Easy to instal.–Just taked out the your old light and insert this product without change wires or drill hole.All of our LED bulbs are designed for easy DIY installation & direct replacement. Hight quality.–The construction/ build quality is top notch.It will prevent one less ticket at a DOT stop.This is to replace our door light.Built-in CAN-bus controller, complete no onboard computer error. Water proof.–It will never experience any issues with rain, water, mud or dirt getting into it. Other DIY.–This one fits the bill. Lots of light for a small amount of current draw. In pitch black conditions, it will light up a whole room. You can’t read a paper by it, but you can see where you are going. If you mounted it on a desk.You can use it on your boat,bike or motorbike which have 12Vdc power as well . 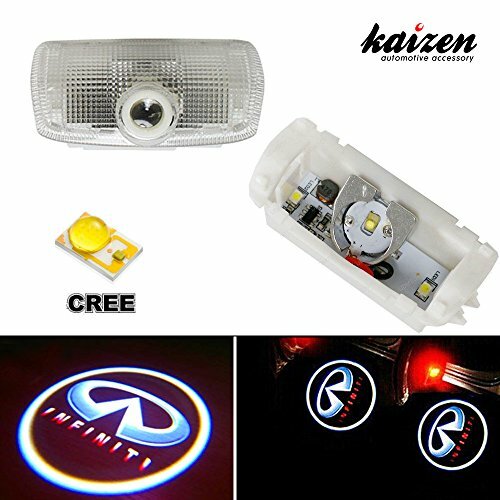 Related Posts "Kaizen 2 Pcs OEM Fit Super Bright LED Laser Ghost Shadow CREE Door Step Courtesy Welcome Light Lamps For Infiniti EX M G25 G37 FX Q QX CAN-bus No Error – Go4CarZ Store"